We understand business and strive to help all our Commercial Locksmith Clients fast and professionally so their businesses have continued success. 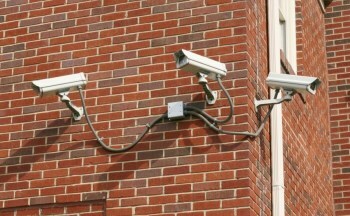 Now specializing in the latest in access control systems! 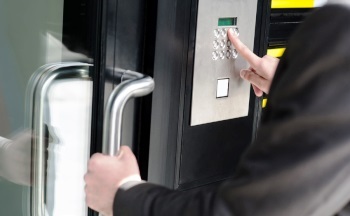 One example of an access control system is an electronic or magnetic card reader. 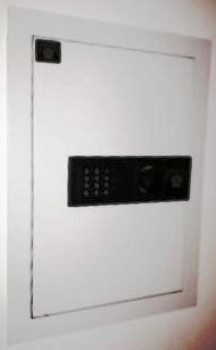 The purpose of this type of locking entry system is to give each registered user their own individual card that will grant them entry into the entire location or just a specific area. All registered cards are interfaced with a main computer system that can be used to monitor the comings and goings of all your employees. In addition, administrators of the system can restrict or grant access to a specified card holder. Want to be able to see who is coming or going, or give each employee specific access to a location? Then this is the system for you! Do you have questions or want to install or upgrade your business’ current panic bar, push bar, buzzer entry, CCTV, or any other type of commercial grade locking device or system? Call us today and let Lamar Locksmith answer all of your questions and get you all the information you need to make the most educated decision for your commercial establishment’s safety and security! We provide full locksmith services for safes and vaults. Prices are given over the phone. We employ a flat rate pricing system unless there are items that were not discussed in relation to the order. 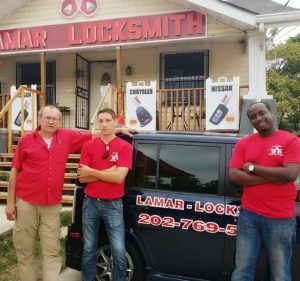 We not only provide commercial locksmith services but excel in locksmith solutions for homes in Maryland, DC, and Virginia. 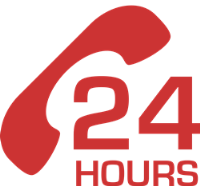 WE ARE A 24/7 LOCKSMITH COMPANY. WE PROVIDE RESIDENTIAL, AUTOMOTIVE, AND COMMERCIAL SERVICES. We supply the best and fastest service with the highest quality. We are a mobile service, serving Maryland Dc and Northern Virginia. We have professional Automotive technicians, dealing with all kind of keys, fob keys and keyless entry.